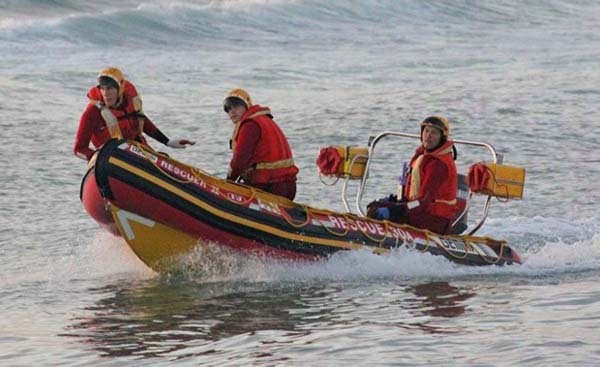 Five people were rescued after their boats capsized in two separate incidents off Cape Town and Port Elizabeth respectively, the National Sea Rescue Institute (NSRI) said on Sunday. “At 16h07, Sunday, 02nd August, NSRI Port Elizabeth were activated following reports from the Noordhoek Ski-Boat Club of a boat capsized at Cape Recife with three people onboard,” Station Six Deputy Commander Justin Erasmus said in a statement. The station’s rescue craft EIKOS RESCUER IV and a sea rescue vehicle were dispatched, while the Eastern Cape Emergency Medical Service and Coastal Rescue also responded. On arrival on the scene a seven metre catamaran was found capsized. All three occupants, two 35-year-old men and a 25-year-old woman, from Port Elizabeth, had reportedly been in the water for about 15 minutes before being rescued by a rubber-duck passing by. The crew aboard the rubber duck raised the alarm and took all three casualties ashore to the Noordhoek Ski-Boat Club where they were medically checked by the emergency services and confirmed to not be injured. “We righted their boat and towed the boat to the Port of Port Elizabeth where they arrived and we assisted them to recover their boat onto their trailer and no further assistance was required,” Erasmus said. “Their boat had sustained some damage. “According to the three they had caught a large yellow tail fish while fishing at Cape Recife as a wave set came through. The first wave swamped their motors and they were capsized by a second wave,” he said. In the second incident near Cape Town, the NSRI Melkbosstrand Station 18 duty crew were activated by the Transnet National Ports Authority (TNPA) at 2.10pm to respond to Van Riebeekstrand, between Melkbosstrand and the Koeberg Power Station, following reports of a boat capsized. NSRI Melkbosstrand launched the sea rescue craft Men’s Health Rescuer and a sea rescue vehicle responded to the scene. On arrival on the scene a father and son, from Durbanville, aged 53 and 22, were taken aboard the sea rescue craft and their boat was righted and towed ashore without incident and they were not injured. It appeared they had been riding waves on their 4.2 metre rubber duck when it capsized in waves, the NRSI said.